Trueform Concrete brings a unique perspective to the functional and practical use of concrete. 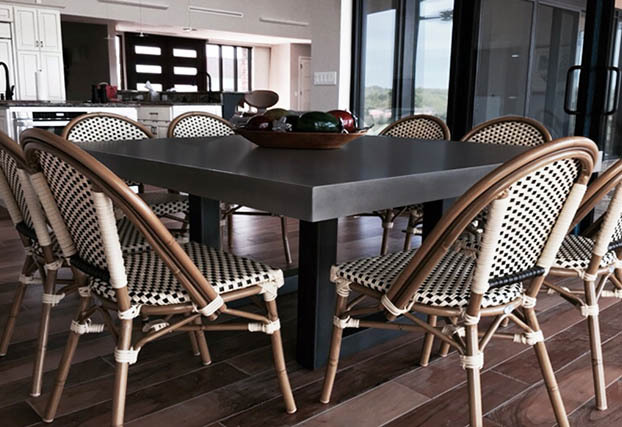 Trueform creates decorative pre-cast concrete countertops, sinks, tables, wall panels and more for both commercial and residential projects. Their online store offers standardized products while also allowing clients to easily customize any item or design something from scratch. Trueform can template and install projects within the Tri-state area or build to spec and ship worldwide. 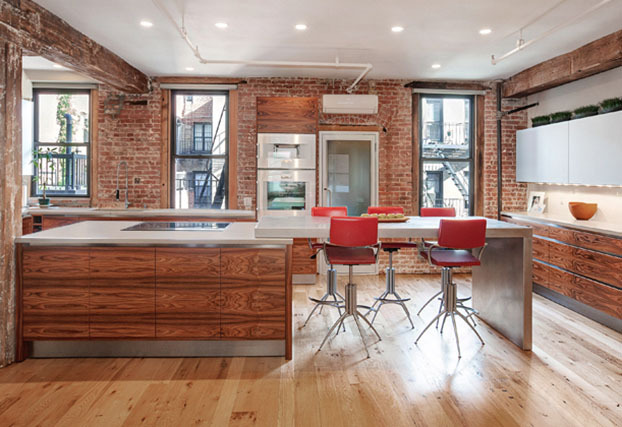 Custom Trueform concrete kitchen countertop and waterfall leg in a modern style New York City aprtment. 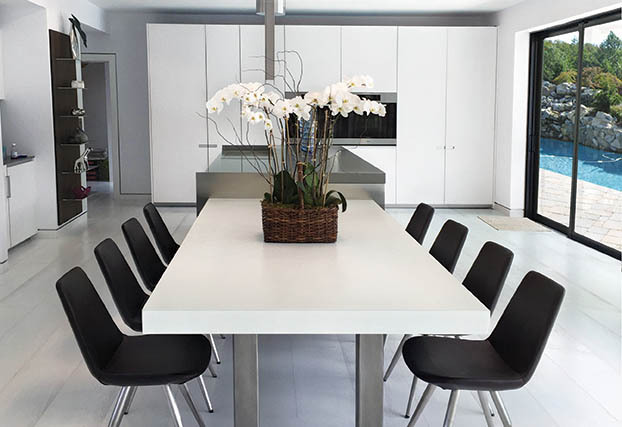 A white Trueform Zen Concrete Dining Table. The metal table base showcases our stainless steel finish. 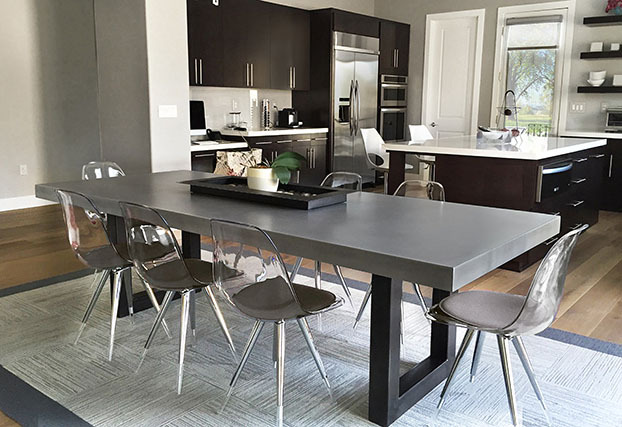 Truefrom Zen Concrete Dining table in our pewter color and Industrial Patina metal base. 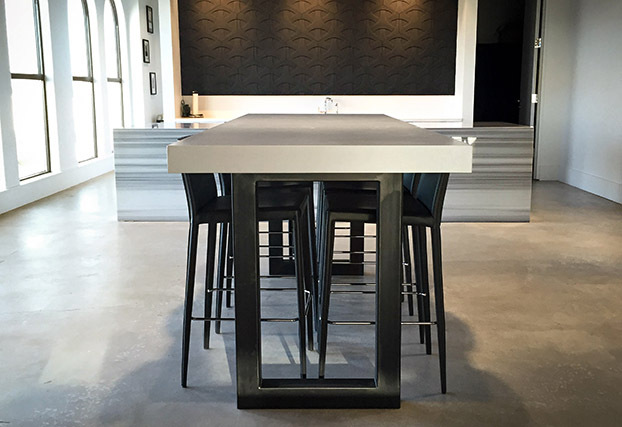 Custom Truefrom Zen Concrete Dining Table in graphite with our Industrial Patina metal base. Trueform Square Concrete Dining Table in Dusk with our Industrial Patina metal base. 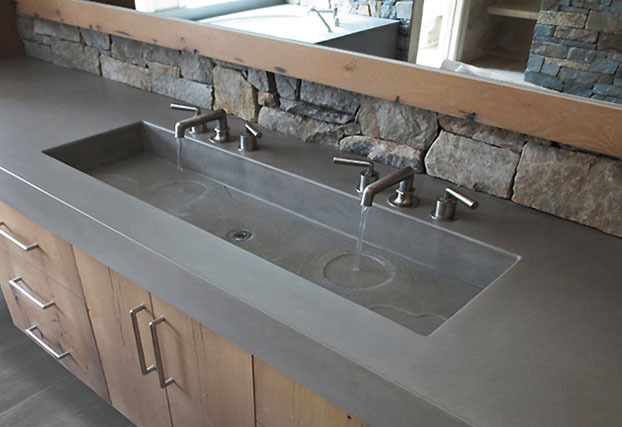 Custom Trueform Concrete bathroom vanity sink in graphite with double faucets. 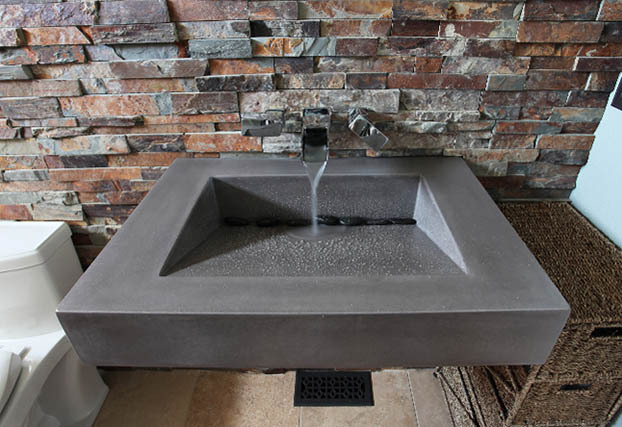 Trueform Concrete custom bathroom vanity sink in taupe. The wooden base is in our espresso finish. 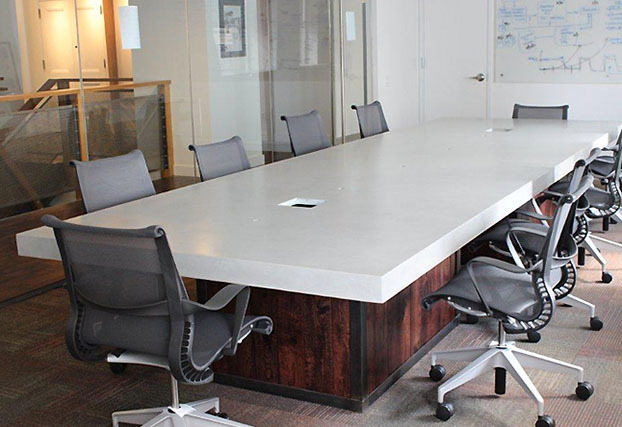 Custom Trueform Concrete conference table and espresso color wooden base. 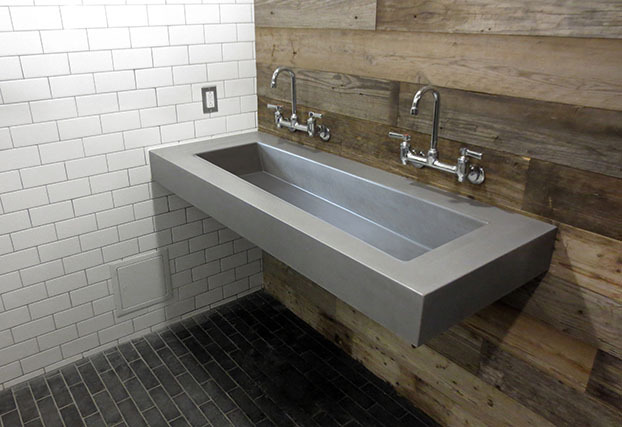 Custom Trueform Concrete bathroom wall mounted ADA sink. 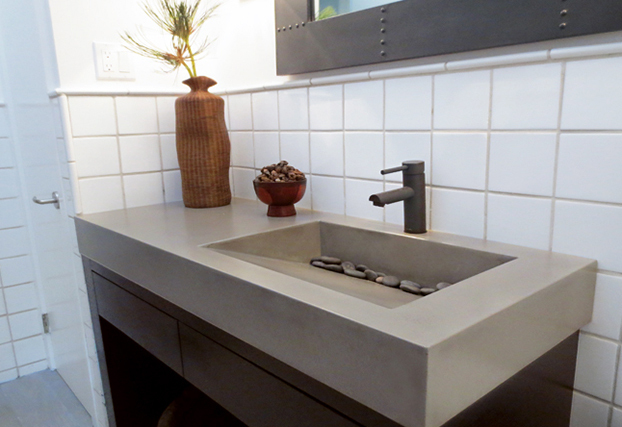 Trueform Concrete 30" ADA Wall Mounted Bathroom Sink in our charcoal gray. 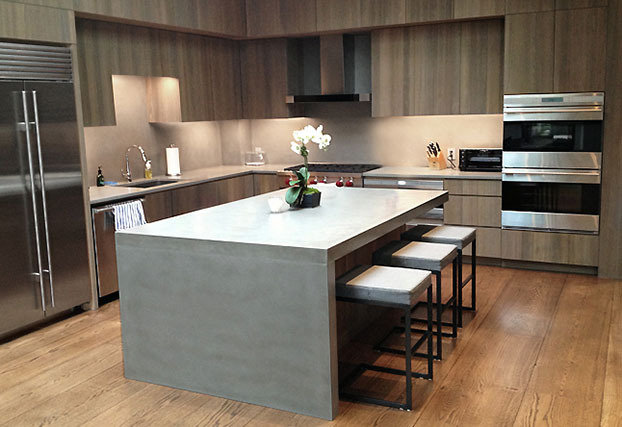 Custom Trueform Concrete kitchen countertops with waterfall leg in frost. 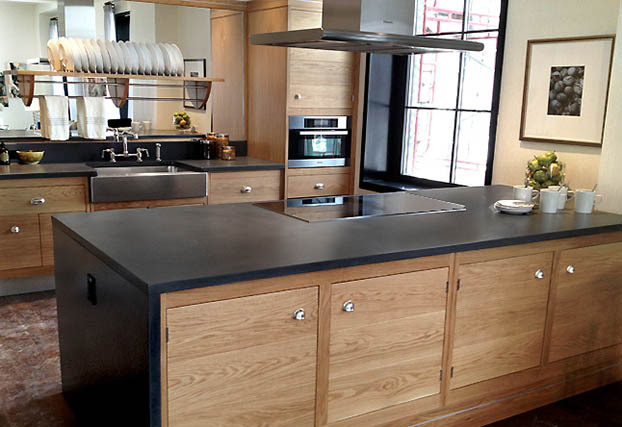 Custom Trueform Concrete double kitchen countertops in dusk.